From writer, photographer and fly fishing travel specialist Jeff Bright, Written on Water is a collection of essays examining the joys and challenges of angling for sea-run fish. 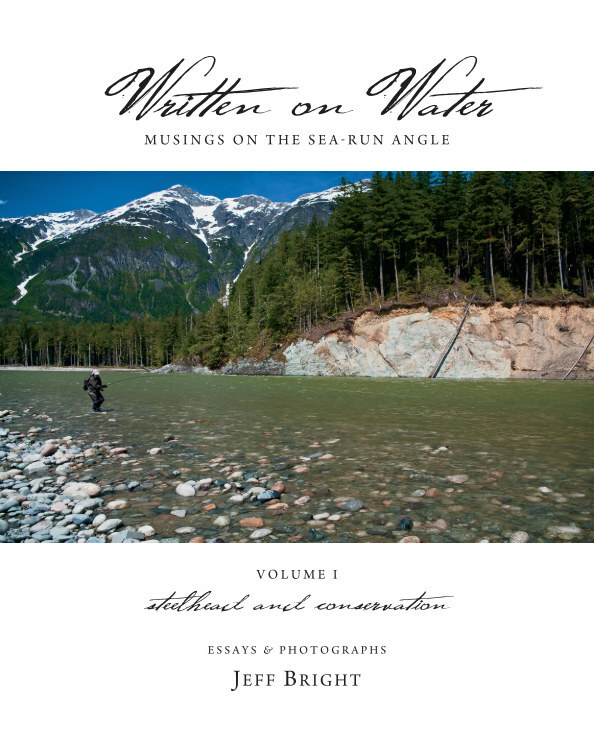 A two volume set, Volume I is devoted to steelhead, the highly coveted sea-run rainbow trout, and various thorny issues surrounding efforts to save this cherished icon of the Pacific Northwest. Volume II journeys to the ends of the earth in pursuit of Atlantic and Pacific salmon, Argentine sea trout, Arctic char and the magic moment. Both volumes are a heady mix of humor, philosophy, adventure and environmental politics accompanied by brilliant color photography.